Here When I clicked on android then it redirected to me here and Here it should show only android questions with no upvotes answers but it is opening different (questions tagged) see in below screenshot. 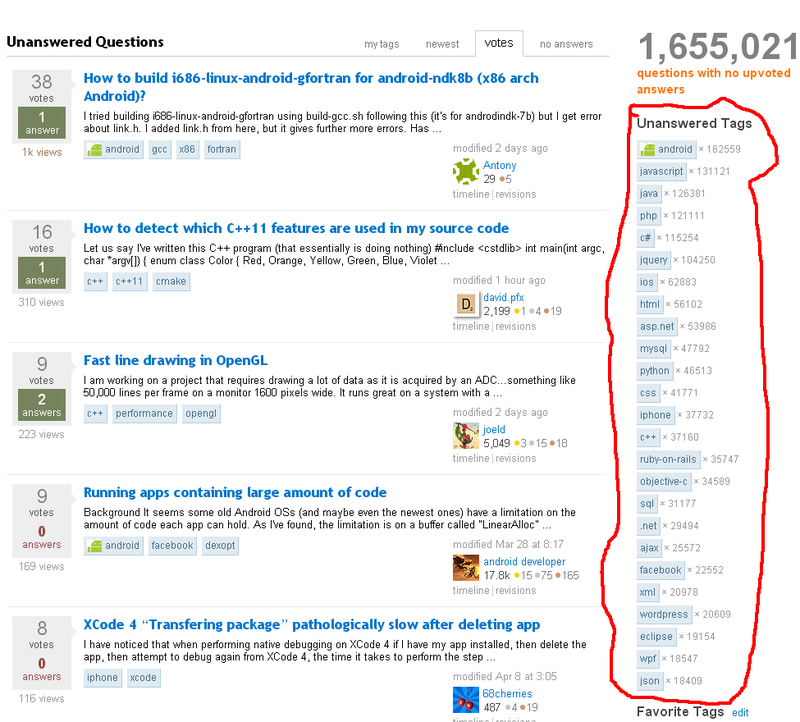 You can direct click on it to get questions with no upvoted answers with specific tag. E.g. Android questions with no upvoted answers. Not the answer you're looking for? 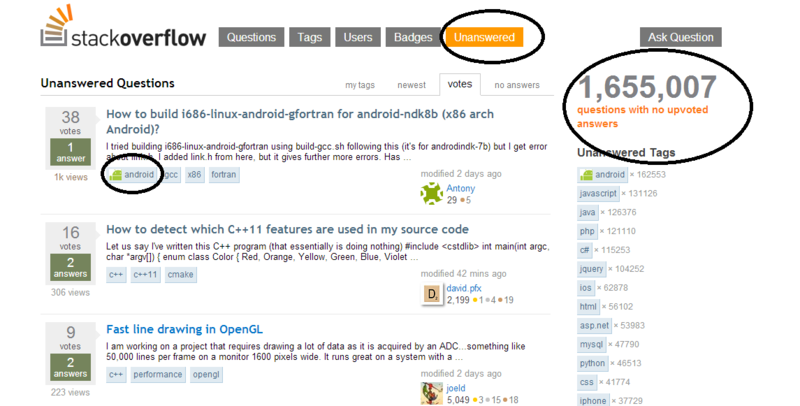 Browse other questions tagged bug tags unanswered-questions . Unanswered is not the same as “no answers”?